Street sweeping is about more than just keeping streets, highways, parking lots and industrial complexes looking clean — its about eliminating safety hazards and ensuring regulation compliance. Sweeping Corporation of America (SCA) is the largest self-performing power sweeping company in the United States. 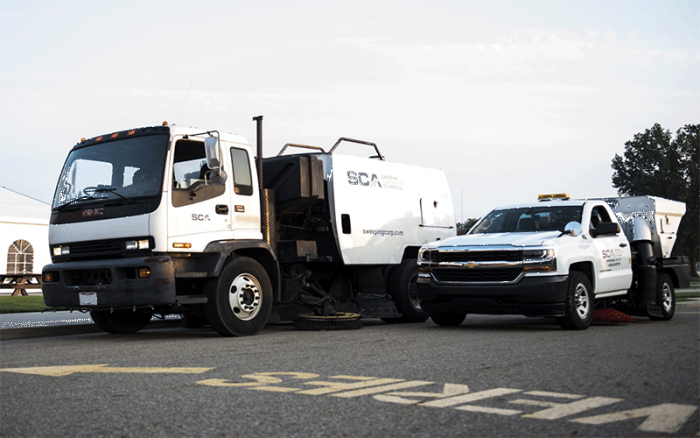 While most of their locations started with just one street sweeper and a few small contracts, today, SCA employs over 400 associates and utilizes more than 350 state-of-the-art street sweepers, parking lot sweepers, sewer cleaners and other support equipment daily across the country. Their fleet uses the latest mechanical broom sweepers and regenerative air vacuum trucks that can handle everything from heavy debris on the interstate to dirt tracked onto road surfaces during a construction project to a retail parking lot. Interested in a career with SCA? As they continue to grow, they are always looking to hire high-quality employees, especially drivers (CDL and non-CDL) and maintenance technicians at their locations across the country. Click Here To View And To Apply To All Of SCA's Available Positions!